Well it's that time of year again. Super Bowl weekend - when companies feel that spending $5 million (USD) for a 30 second television ad makes perfect sense. What if you decided to take that $5 million and invest it in inbound marketing? Here's what's possible. Now, don't get me wrong, if you're a large company with an obscenely large marketing budget a Super Bowl ad will certainly provide you exposure to billions of viewers. You will promote your brand and will likely increase your sales. But it's a one shot deal. You have 30 seconds and the hope that your 30 second ad will translate into a consumer action - preferably a purchase. In reality, you have little control over the people that see your ad. Certainly, you have the demographics of the Super Bowl audience. But how many people will be at parties or in the bathroom or sober enough to truly pay attention to your ad? There is a reason they call them Super Bowl parties. Now, what if a company would take that $5 million ad budget and decide to invest it in inbound marketing? Your company could, for example, set up a strategically targeted inbound marketing program with a $60,000 yearly budget. That's just $5,000 a month. Within that $5,000 you would get monthly website design and updates, content development, segmented email marketing, SEO, PPC support and weekly strategic guidance. Any inbound program is driven by your business goals - so you'd have to spend some time describing those goals to assure your results will be aligned with them. You'd have a team of design, marketing and technical experts at your disposal. 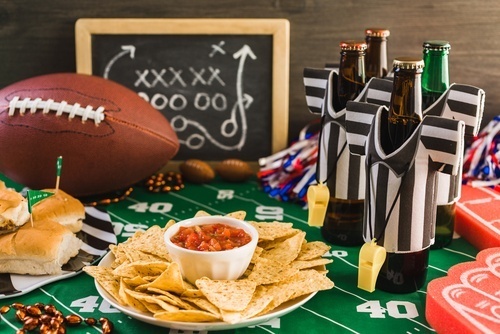 If you would take your $5 million of Super Bowl ad money and instead focus it on inbound marketing you would set yourself up for 83 years of ongoing inbound marketing. That's a really good deal. Blog posts don't go away after 30 seconds. Either do ebooks or whitepapers or infographics. They'll live on your website for as long as you want. And the visitors that turn into leads on your website are yours to keep as well. You can send them emails regularly and you can even call them if they give you their phone number. You can't do any of this with a Super Bowl ad. There's even more good news. Although 83 years of inbound marketing is never a bad thing, you'll really only need 6 months of inbound marketing to start noticing a meaningful uptick in visits and leads to your website. You may not have $5 million to invest but if your company generates at least $1 million in revenue a year you should be spending between $50-100,000 a year in marketing efforts. What's stopping you from inbounding?